This entry was posted in Exercise, Nonsense, Parenting, This Book Will Change Your Life and tagged chia seeds, fitness, health, This Book Will Change Your Life. Bookmark the permalink. Heh. My post was about nail polish. Go figure. Is your overnight oatmeal good? I have that pinned, but haven’t tried it yet. It is super tasty, I use almond milk and a smidge of stevia. Delish!! The vision of a wet nekkid senior lady crying and clinging to you flashed thru my mind…eek! Must scrub brain, quick! :) Collapse a currency?! Really?! Much more productive to just eat breakfast and go to the gym. I’m sure you’ll feel much better about yourself this way. I am giggling at the idea of geriatric aquafit women starting to sniffle because you won’t give them a cuddle. 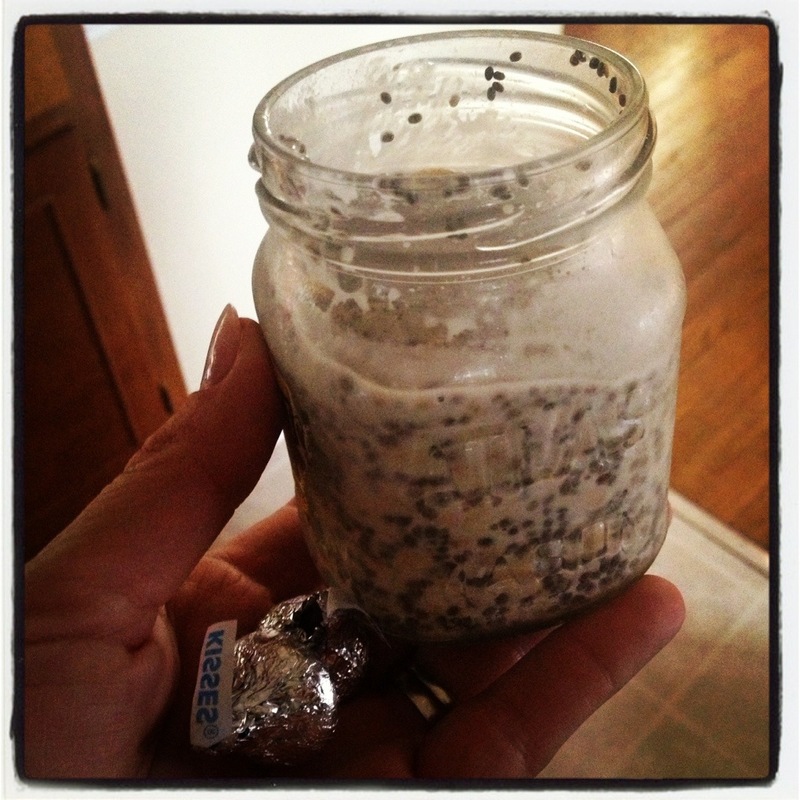 That jar looks like melted cookies and cream ice cream. but none of these women will cry when I don’t hold them. Yes. True words right there! Hey, let’s face it. Sometimes oatmeal and a shower are all that happens some days and that’s okay. Tomorrow you may spot Elvis, or Bigfoot, or…. whothehellknows. Today, well today we get oatmeal. :) I shall keep my eyes peeled.